The pendant was created with one of my unique lampwork glass beads. The glass piece showcases abstract flecks of cream and black over a base of grey glass swirled with pure silver mesh. The thick coat of clear glass brings the depth of the design to life! 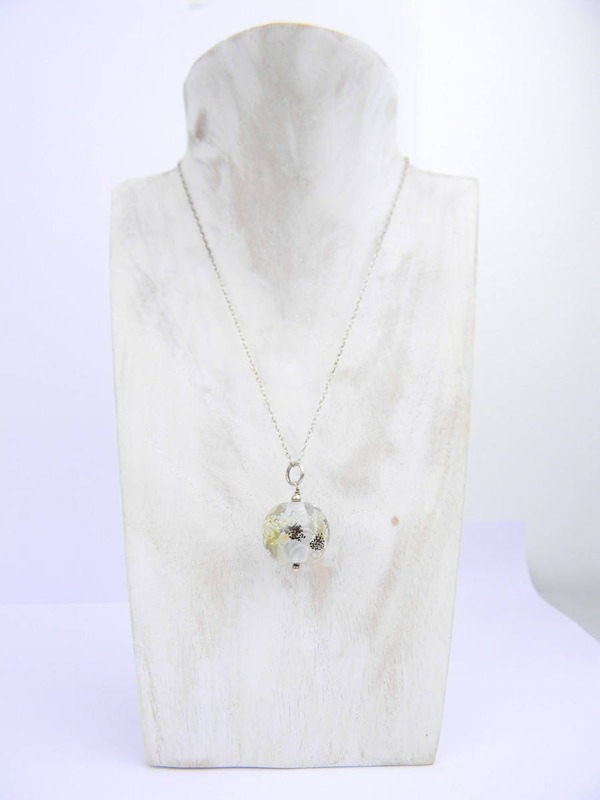 This highly detailed glass pendant was created for my Classic Collection. 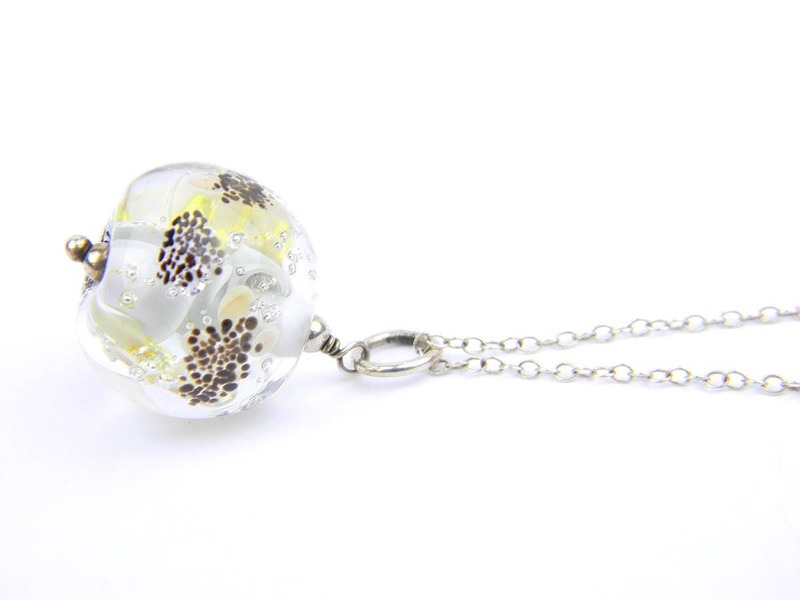 It would happily accompany any style of outfit, adding the extra sparkle and providing you with a little glass world to contemplate any time of the day! All my jewellery comes wrapped up ready to be gifted! All metal chain and findings are sterling silver. Each piece of jewellery is stamped with my 'jewellery maker's stamp' which is obligatory in France when using precious metals. This stamp is unique (each jewellery makers has his own), so only my jewellery is marked by it! Also, all necklaces and bracelets are signed with my little sterling silver signature tags (see photo). I create all the glass beads featured in my jewellery one by one. I love to develop and work with multiple glassworking techniques to create 3D nature-related elements, mainly varieties of glass flowers, submerged in thick layers of clear glass to amplify all the tiny details. The flowers and butterflies wouldn't be anything without the colours, which I intensively study all the time to create one magical colour combination after another. All my glass beads are annealed and cleaned properly and made by me on 1/16 mandrels with CiM, Lauscha, Effetre and Vetrofond glass.